Canine stress can have a serious impact on your dog's health. LoveToKnow spoke with Paul McCutcheon, DVM, about how you can identify stress in your dog, as well as ways to help manage it. 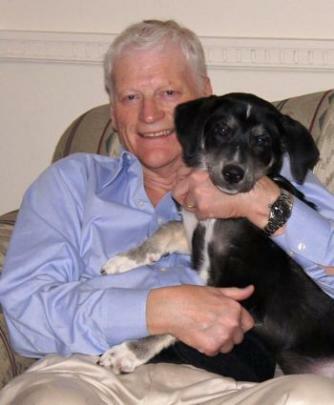 Dr. McCutcheon is a former director of the American Holistic Veterinary Medical Association. 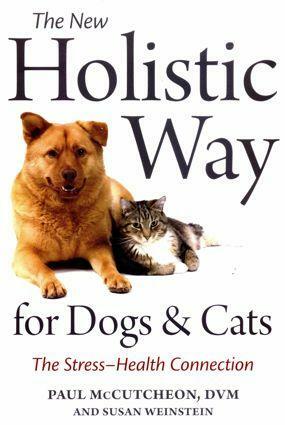 In his book, The New Holistic Way for Dogs & Cats, Dr. McCutcheon explains the relationship of stress and pet health. He also provides information on holistic ways of keeping your pet healthy. LoveToKnow (LTK): Dr. McCutcheon, how do you define stress? Paul McCutcheon (PM): Stress is the reaction of the body to demands. Most of the time, these reactions are healthy and beneficial. One example would be reacting to a moderate amount of exercise. Under some circumstances, undesirable reactions are created which cause negative effects in the body. For example, a severely excessive amount of that same exercise could cause a negative effect. This is what we call "distress" or "negative stress." It is controlling this distress that is so important to our pets' health and wellness. LTK: How can pet owners recognize emotional stress in their dogs? PM: Emotional stress may manifest physically, such as producing vomiting or diarrhea. Or there may be more subtle signs such as appetite changes, change in sleeping habits, mood and behavior changes or a loss of energy. LTK: What are some health issues that can be caused by stress? PM: Negative stress has a very negative effect on the immune system. Health issues of all types are influenced by the strength of the immune status. Virtually all health issues are influenced by stress. Thus, simple infections to major manifestations such as allergy, autoimmune and cancer can be a consequence. LTK: What are some holistic methods of minimizing stress in dogs? PM: Appreciation of the negative stressors that may be significant in your pet's life is key to wellness. Avoidance of unnecessary invasive medications and vaccines, feeding an unprocessed appropriate diet and appreciation of environmental implications are examples of avoiding negative stress in your pet's life. LTK: What about other holistic approaches to stress relief? What do you think about massage therapy and acupuncture for relieving stress in dogs? PM: There are many "hands on" procedures to relieve stress. Acupuncture and acupressure, Reiki and Tellington TTouch are examples requiring professional guidance. Massage is a great stress buster technique anyone can do - Dr. Michael Fox has written a very useful book on pet massage. LTK: Are there ever instances where it may be necessary to prescribe anti-anxiety medication? If so, which medication(s) do veterinarians typically prescribe? PM: We use natural medications when possible. Herbal medication such as L theonine extracted from green tea is one example There are a variety of homeopathic remedies useful under professional supervision. Flower essences such as Rescue remedy (Bach Flower) are very useful. Pheromone sprays also have a role to play in stress therapy. Anti depressant drugs are often prescribed such as Clomipramine hydrochloride, but as outlined in my book, I try to avoid this approach if at all possible. LTK: How long does it typically take for dogs to begin responding favorably to stress relief techniques, and what are the signs to watch for to make sure a dog is feeling better? PM: Depending on the cause of the stress, our pets should respond quite rapidly. Physically, their appearance should improve - coat and skin will often reflect this. Their energy and sleeping habits will improve. Their appetite and behavior will normalize. LTK: Is there anything else you can add about treating canine stress holistically? PM: Empathizing with your dog and trying to understand what is causing the stress is paramount. The primary remedy is to correct the cause. LTK: What is your top tip for keeping dogs healthy with a minimum of stress? PM: Empathy; put yourself in your pet's position, and you may find many ways that stress factors may be an influence on your pet's well-being. Being left alone all day every day or eating the same processed diet forever is not my idea of a happy life! The power to reduce your dogs stress is primarily in your own hands. To learn more about canine stress and keeping your pet healthy holistically, please visit NewHolisticWay.com. There you will find an assortment of articles aimed at educating you on natural health for your pet.